India’s teenage sensation Prithvi Shaw has been in news ever since his amazing knock of 546 runs, the highest score by any batsman in any organized form of cricket since 1901, a feat he achieved in Harris Shield tournament in Mumbai. Shaw has been called the next Tendulkar by many former experts thanks to the similarity between the starts their careers got in the domestic cricket. Now, Windies great Brian Lara has also become one of the fans of Shaw and unlike others who have compared the diminutive opener with Tendulkar, Lara has compared him with another Indian opener- Virender Sehwag- for his style of stroke-play. Prithvi Shaw made a century each on his Irani Cup and Ranji Trophy debut, emulating the record created by Sachin Tendulkar and made a century on his Test debut against West Indies as well. Shaw is currently playing for the Delhi Capitals in the ongoing IPL 2019 and had started his IPL career with a fifty for the former Daredevils in IPL 2018 and has scored a 99 in the current edition of the tournament. 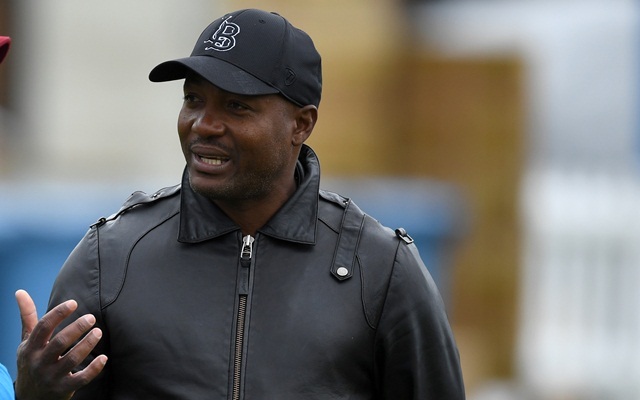 Brian Lara, who was present on the Star Sport’s pre-game IPL show Select Dugout, compared Shaw with former India captain and one of the best openers of all-time Virender Sehwag. “I see more of Virender Sehwag in Prithvi Shaw’s style of batting and think his maturity is amazing. I saw him play against the West Indies last October and he scored a lot of runs. It’s wonderful to see a young player on Indian soil doing so well. He travelled to Australia but unfortunately could not play, because of an injury,” Lara was quoted saying during the Select Dugout show. Lara, who holds the record of notching scores in multiples of 100, 200, 300, 400, and 500 in first-Class cricket and the only man to score 400 in Test cricket, is widely regarded as one of the greatest batsmen of all time. “He is only 19 years but with two seasons of IPL, he is already a “senior player”. I think he has been in the IPL for a couple of years and is a senior player already. A lot is expected of him, he is in a big man’s game now and has got to do what is necessary,” Lara further said.